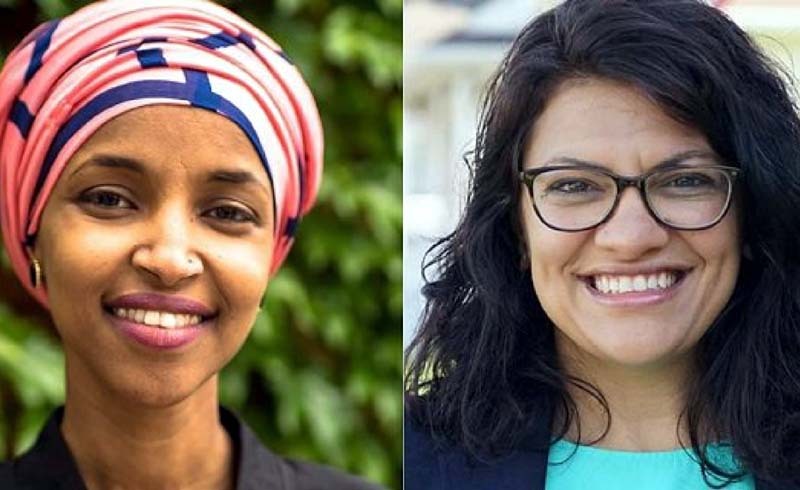 Ilhan Omar and Rashida Tlaib are the first Muslim women elected to Congress, having won their respective races for the U.S. House of Representatives. But they were just two in a night of historic firsts. Both women are making the jump from the state House to the U.S. House. Tlaib won in Michigan in 2008 and served several terms. Omar was elected to the Minnesota House of Representatives in 2016, becoming the first Somali-American woman to serve in that state's House. In fact, Omar was the first Somali-American legislator to serve anywhere in the United States. The avowed democratic socialist ran against a Republican Somali-American activist for her state house seat and defeated Republican Jennifer Zielinski for her U.S. House seat. Omar came to the United States as a refugee, fleeing her home country of Somalia at the age of 12 due to that country's civil war. Omar's family eventually settled in Minneapolis, which has one of the largest Somali populations in the US. On winning her first election, Omar said that her district "represents what we as a nation want to be: United in our diversity. Long time residents, East African immigrants and students – we came together and engaged in the political progress." Both women ran on progressive policies, including Medicare for All. Both women also championed a raise in the federal minimum wage. Overall, they were part of a wave of fresh faces on the ballot in this midterm election. Ayanna Pressley became the first black woman to win a congressional seat in Massachusetts. Democrat Sharice Davids became the first lesbian Native American elected to Congress in any state. And rising democratic socialist star Alexandria Ocasio-Cortez made her win official. She's not only notable for her politics, the 29-year-old New Yorker is the youngest representative in the history of Congress. Meanwhile, in Colorado, Jared Polis become the nation's first openly gay governor. Congress got its first and second female Muslim-Americans in this years midterm elections, but that was just the beginning.